BP on Monday announced first gas production from the second stage of its West Nile Delta development offshore Egypt, marking the second start-up in a string of new upstream projects expected to be brought on line by the supermajor in 2019. The Giza and Fayoum development, which includes eight wells, is currently producing around 400 million cubic feet of gas per day (mmscfd) and is expected to ramp up to a maximum rate of approximately 700 mmscfd, said BP, who has an operating stake of 82.75% in the development. Bob Dudley, BP chief executive, said, “This important project start-up benefited from the excellent working relationship between BP and the Egyptian government. We simply could not have delivered it successfully without the steadfast support of the Minister of Petroleum, his excellent team and the entire government. The West Nile Delta development includes a total of five gas fields across the North Alexandria and West Mediterranean Deepwater offshore concession blocks. 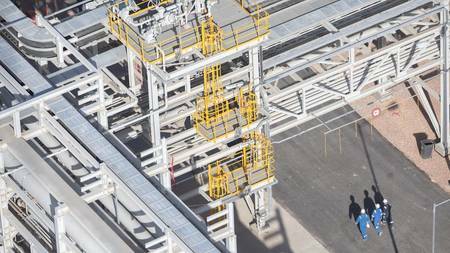 It was originally planned as two separate projects, but BP and its partners realized the opportunity to deliver it in three stages, accelerating delivery of gas production commitments to Egypt. The third stage of the West Nile Delta project will develop the Raven field. Production is expected in late 2019. When fully onstream in 2019, combined production from all three phases of the West Nile Delta project is expected to reach up to almost 1.4 billion cubic feet per day (bcf/d), equivalent to about 20% of Egypt’s current gas production. All the gas produced will be fed into the national gas grid. The start-up announced today in Egypt is the second major project for BP in 2019, following the Gulf of Mexico’s Constellation development, which BP has a 66.6% non-operated stake in. Separately, the Atoll Phase One project offshore Egypt started-up in 2018. After almost one year of production, Atoll continues to produce 350 million cubic feet per day from three wells, feeding the country’s national grid. A fourth well will be drilled later in 2019 to underpin the deliver of the field’s recoverable resources.